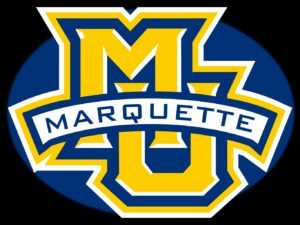 The Marquette Golden Eagles used a strong defensive performance to knock off Xavier 70-52 in Big East Conference action at Fiserv Forum on Sunday. Marquette (12-3, 1-1 Big East) defended the three-point line with authority, holding the Musketeers (9-7, 1-2) to 1-of-14 shooting from distance. Markus Howard had 26 points to lead the Golden Eagles in scoring. Junior guard Sacar Anim added 20 points and freshman forward Joey Hauser had 18 points. The three combined accounted for all but six of Marquette’s total points. Sam Hauser hit just 1 for 8 from the field and missed all six of his three-point attempts. Joey Hauser was named the Big East Freshman of the Week after averaging 16.5 points and 5 rebounds in a pair of games. For the week, Hauser shot 63.2 percent from the field and made 4-of-5 from beyond the arc. For the season, Hauser is averaging 10.5 points and 6.1 rebounds a game. Andrew Rowsey poured in 30 points and Sam Hauser added 20 to lead five players in double figures as Marquette knocked off LSU 94-84 in the consolation game of the Maui Invitational. Matt Heldt and Sacar Anim added 12 points each and Markus Howard finished with 10 points as Marquette improved to 3-2 with the win. Hauser, after getting into early foul trouble in the loss to Wichita State a day earlier, started hot on Wednesday. 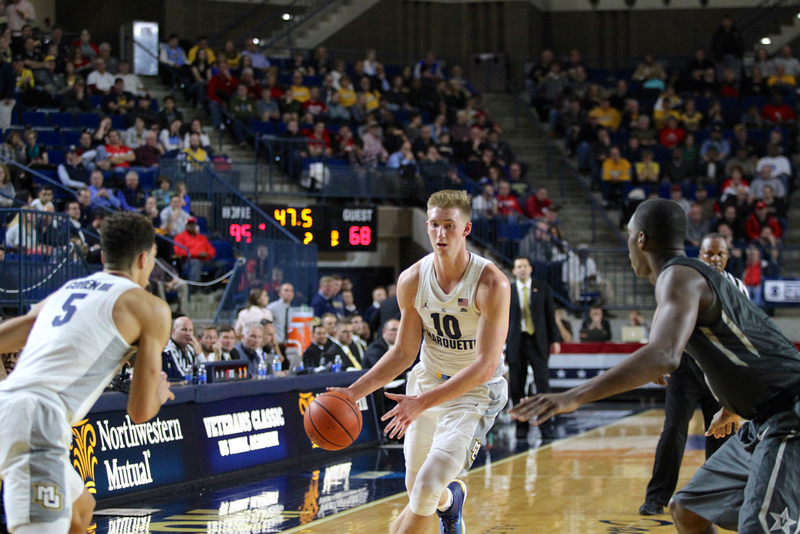 Hauser had 14 of Marquette’s first 16 points, making his first five three pointers. Hauser had 18 of his 20 points in the first half. Andrew Rowsey scored 24 of his 30 points in the second half and hit all 16 of his free throw attempts in the game. 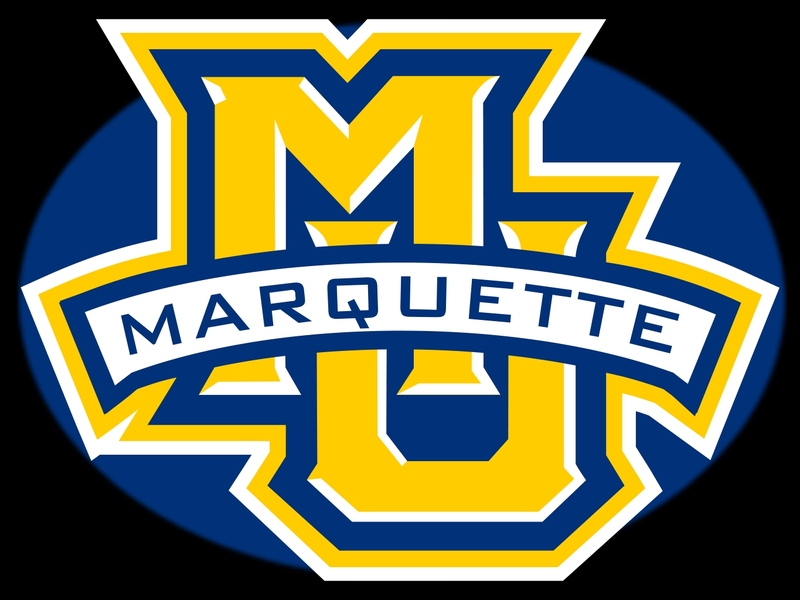 Marquette returns to action on Monday night against Eastern Illinois at the BMO Harris Bradley Center.